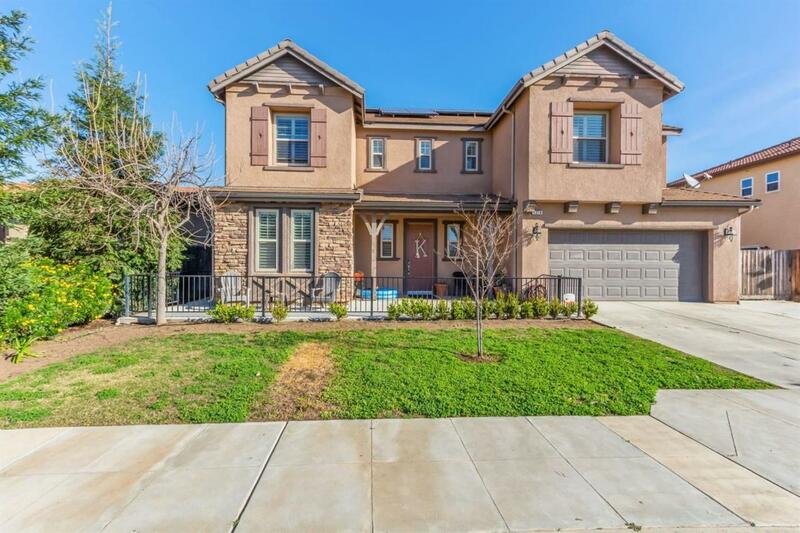 This gorgeous home has so many amazing features; from the 2241 sqft open floorplan, to the full 4-bedroom 3.5-bathroom layout it is sure to accommodate most any need for its new owner. Upon entering the home, you will see a large living room with high vaulted ceilings followed by an open floorplan that leads directly into the fantastic kitchen. The kitchen draws you in, with a massive island and granite countertops throughout, with the added bonus of tile flooring for ease of care and maintenance. One of the best and most unique features of this home is that the jack and jill bathroom not only connects the two rooms but each room has its own sink and toilet, which makes it immeasurably easier for the two inhabitants to get ready for the day. The master bedroom has an enormous walk in closet and an equally large master bathroom that has the coveted dual vanity sinks. Then, to top it all off, it comes equipped with solar and a water purification system. Listing provided courtesy of Alejandra Charest of Guarantee Real Estate.